On Saturday the Bears opened their season with a game against Scottish Women’s Warriors. With the absence of a number of the Bears women due to injury and illness, they were fortunate to welcome some new recruits to their lineup. From the start of the game the Bears WBC were in control and with a great performance from their Junior player Ellan Fraser and helped by Anna Walford, were able to see out the game with a comfortable win Bears WBC 46 – 10 Scottish Women Warriors. Later in the evening, the Bears faced a stiffer opposition in South West Wales Dragons. With so much effort put into the early game and a limited bench the game turned out to be a far more physical battle then the earlier game for the Bears. With new recruits Fran Smith and Jessica Whyte putting in a great performance the Bears were able to battle out to win with the scores Bears WBC 36 – 20 South West Wales Dragons. 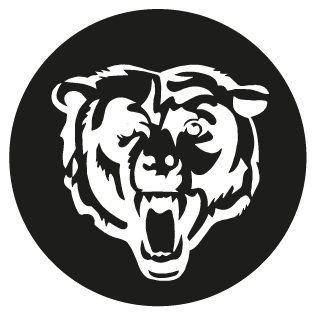 In the early game the Bears WBC were up against the Wakefield Whirlwinds, who had also won their previous two games the day before and looked like the early challenger to the Bears this season. From the start the Whirlwinds had done their homework putting pressure on the Bears influential Ellan Fraser, limiting her chances at the Whirlwinds basket. The Whirlwinds played the whole game with the same pressure throughout and finished the game with a win and the scores Bears WBC 16 – 36 Wakefield Whirlwinds.